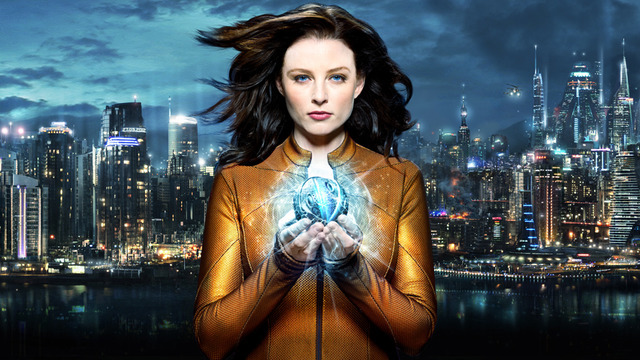 The TV Series Continuum: trailer, clips, photos, soundtrack, news and much more! Kiera battles old friends by allying with former enemies. Alec stands on the precipice of power with one man in his way. A season’s worth of choices come down to one unbelievable moment. Things have been heating up fast over the recent episodes, the finale will be explosive for sure! Something’s hidden deep in the Freelancer facility. Kiera and John Doe work to retrieve it, but the price of knowledge may be betrayal. Carlos resolves to wrest control of the VPD from Piron and Dillon. Help arrives courtesy of an unlikely – and deadly – ally. The last episode was mind blowing, let’s hope this new episode will keep the pace! A direct attack from Liber8 puts Kiera and John Doe in danger; at the same time, they confront the harsh realities of their relationship’s origins. Meanwhile, Alec struggles with the fact that his new invention is responsible for Jason’s increasingly odd behavior. Carlos does look handsome in that uniform, doesn’t he? Kiera confronts uncomfortable truths while paired on an investigation with Dillon. Julian puts himself in the spotlight by exposing a corporation’s dirty deeds. Alec deals with the pressures of his new role at Piron and an uncomfortable secret revealed by Carlos. Now that Kiera is “awake”, the show should get even more interesting! Kiera crash lands her CPS flyer during a prisoner transport and is forced to work with her enemy captive in order to survive. In present day, the mystery of Kiera’s murder is solved when Alec finds a way to recover the recording of her final moments from her CMR. The presents unfolds. The future unravels. The rest is history! How not to like this show? Will Carlos once again turn to the dark side and join forces with Liber8 in this new timeline? And any idea who killed Kiera? Do you think Kiera killed her double? Is she turning to the dark side? The fourth season is set to premiere in Canada on March 16, 2014. It will then premiere three weeks later in the US, on April 4. Is it suicide to send someone back in time to kill one’s younger self? A very interesting episode ahead, impatient to see it! This new episode of Continuum will air Sunday, June 2 on Showcase. The series Continuum centers on the conflict between a group of rebels from the year 2077 who time-travel to Vancouver, BC, in 2012, and a police officer who accidentally accompanies them. Despite being many years early, the rebel group decides to continue its violent campaign to stop businesses of the future from replacing governments with their own rules, while the police officer endeavors to stop them without revealing that she is also a time traveler.